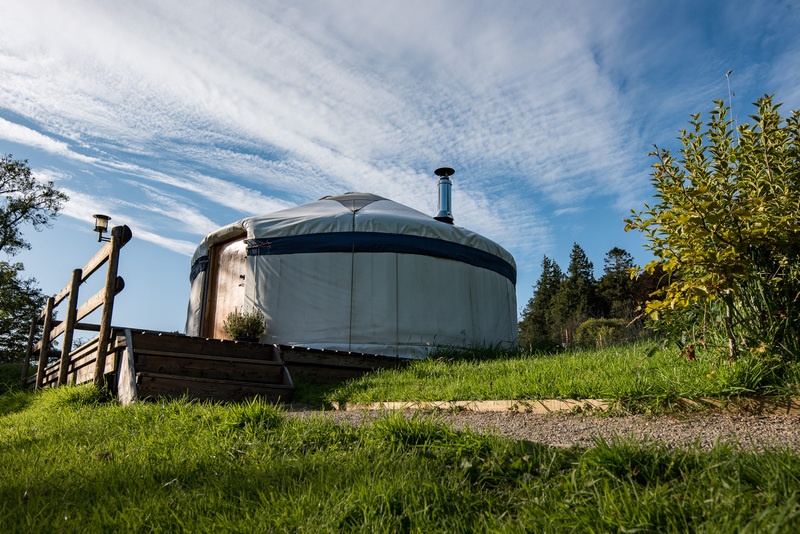 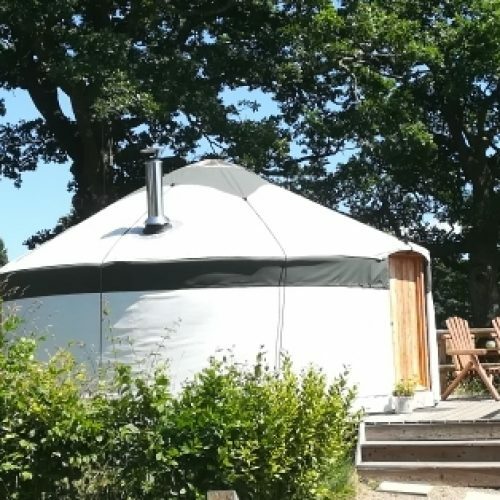 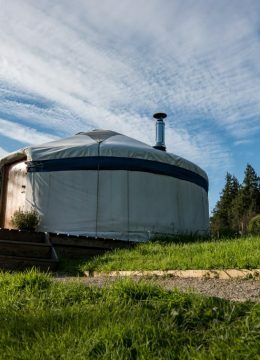 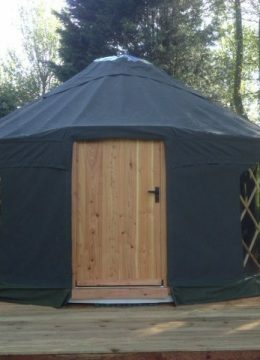 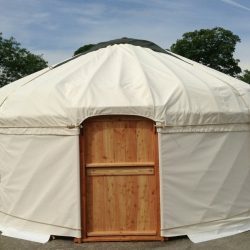 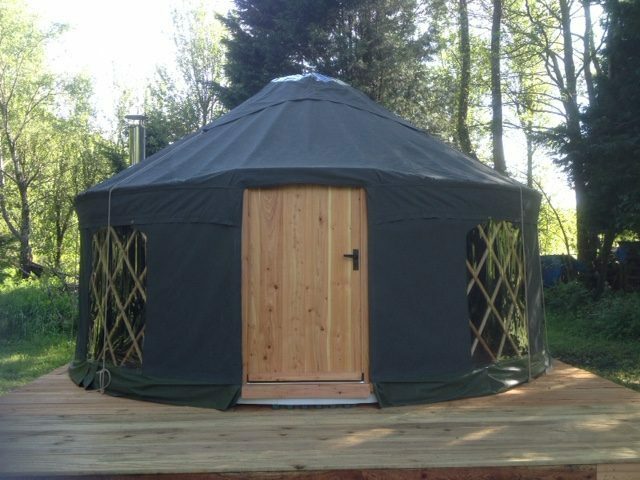 We base our yurts on the traditional Kazakh style Yurt, with its steam bent roof poles and lightweight steam bent roof wheel. Our Gers are styled on traditional Mongolian Ger which has straight roof poles and a heavy weight solid roof wheel. 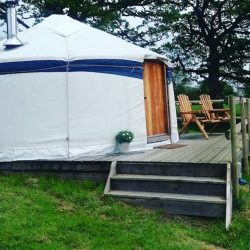 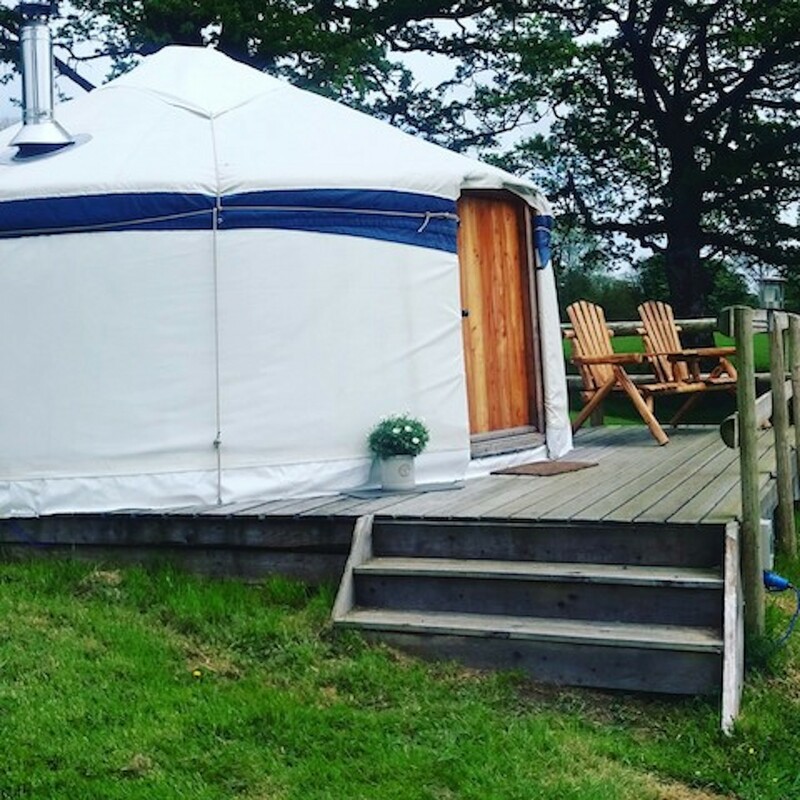 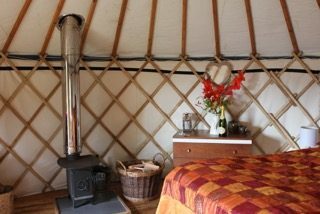 Why Are our Yurts Special? 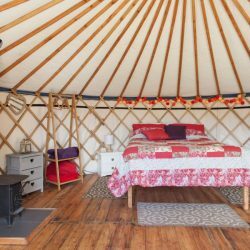 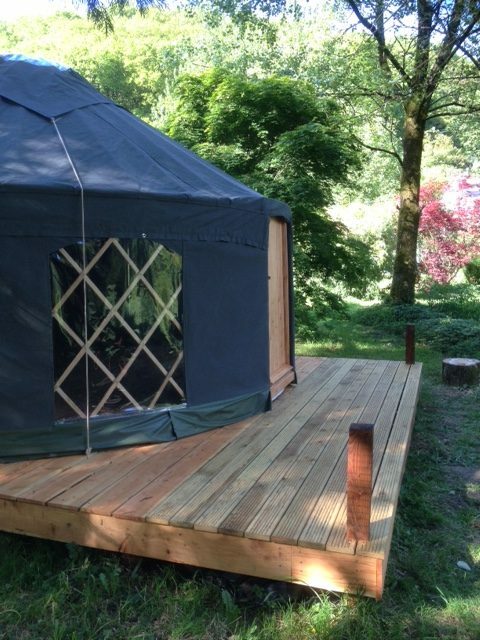 The quality of the craftsmanship of our Yurts and Roundhouses are of the highest standard. 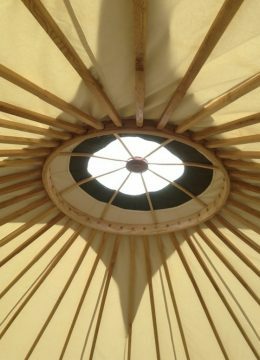 Time and again our customers comment on the attention to detail and the quality of the product which makes our units stand out. 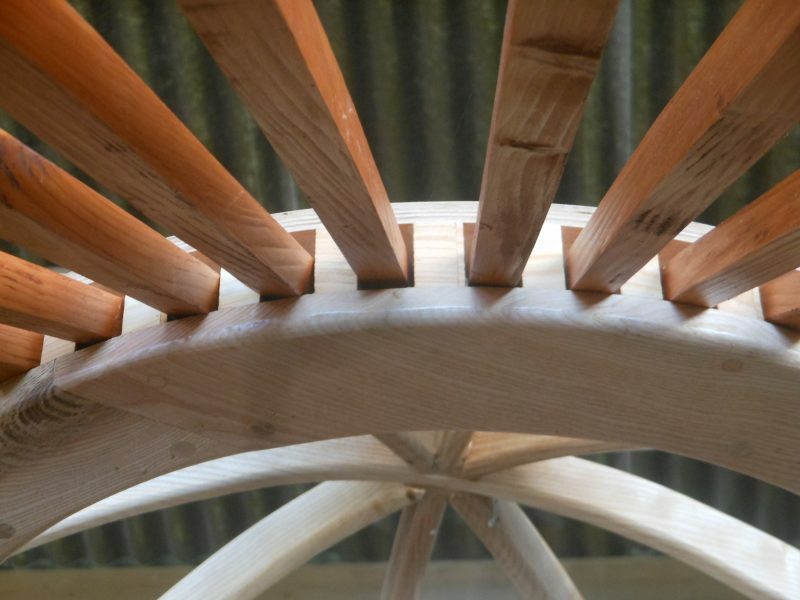 If you are looking for a truly beautiful, handcrafted structure then look no further. 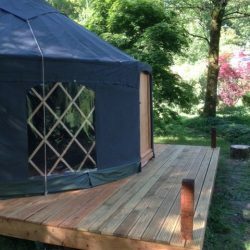 All Fron Farm yurt frames are made using locally sourced wood; Ash, Larch, Oak and Douglas Fir, which are in abundance in our locality. 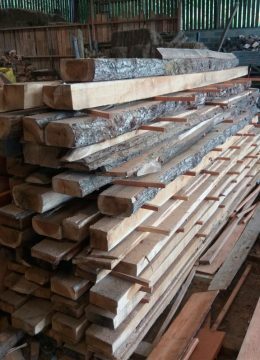 The wood is bought from source from sustainably managed forests in West Wales. 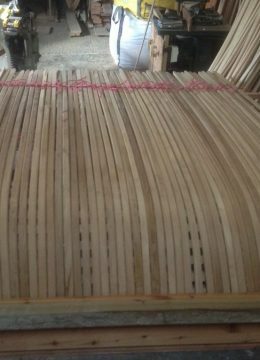 Each tree is chosen by us, to provide the most suitable wood for our structures. 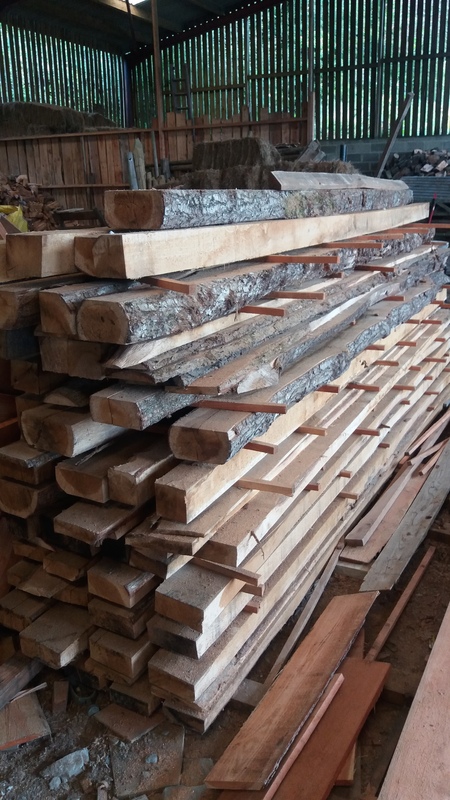 The wood is air-dried on the farm in our wood store, before being crafted into elegant frames, where care is taken to enhance the natural beauty of the wood. 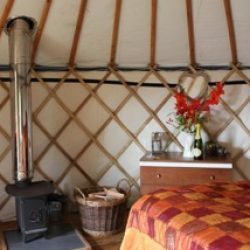 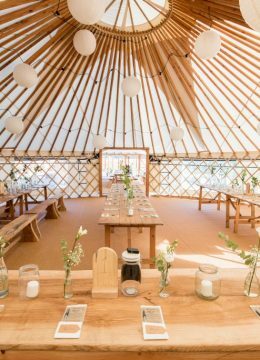 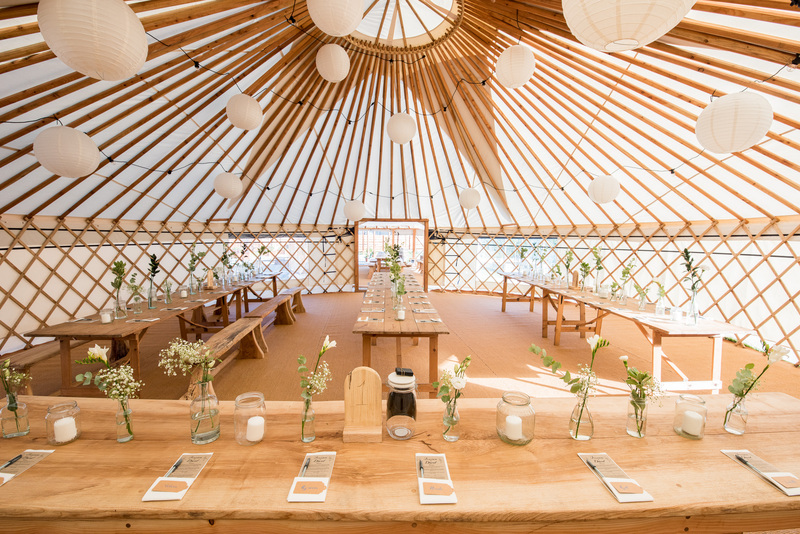 The frames of our Yurts and Gers are not rough and ready but are shaped, highly polished and oiled to perfection, bringing out the natural beauty in the wood. 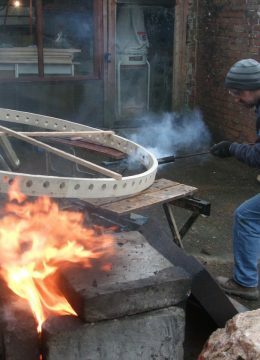 Our lattice work frames are attached using mild steel rivets, which make a strong, durable and robust frame. 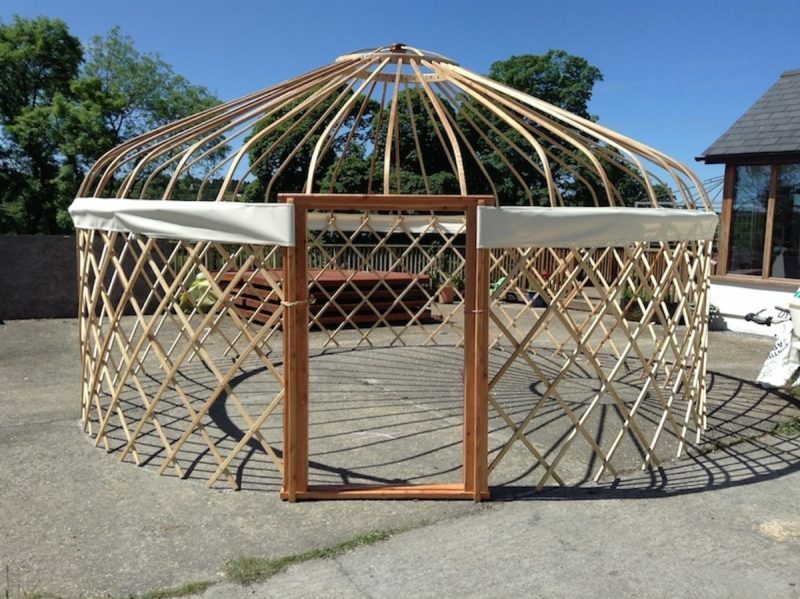 We can also tie the lattice work using pre-streched nylon cord for a more traditional look if customers require. 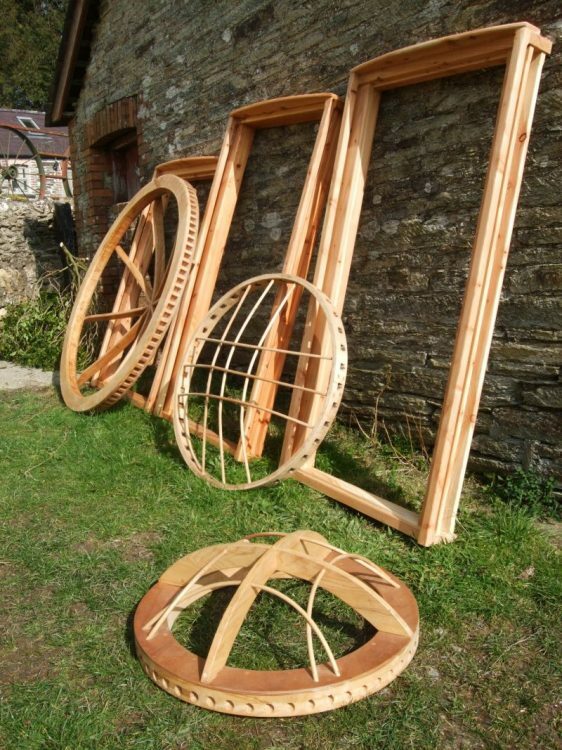 Door frames are crafted from Larch, Oak or Douglas and are designed to work with the frame as a whole where the lattice work slots into the side of the door frame, which removes the need for mechanical fixings. 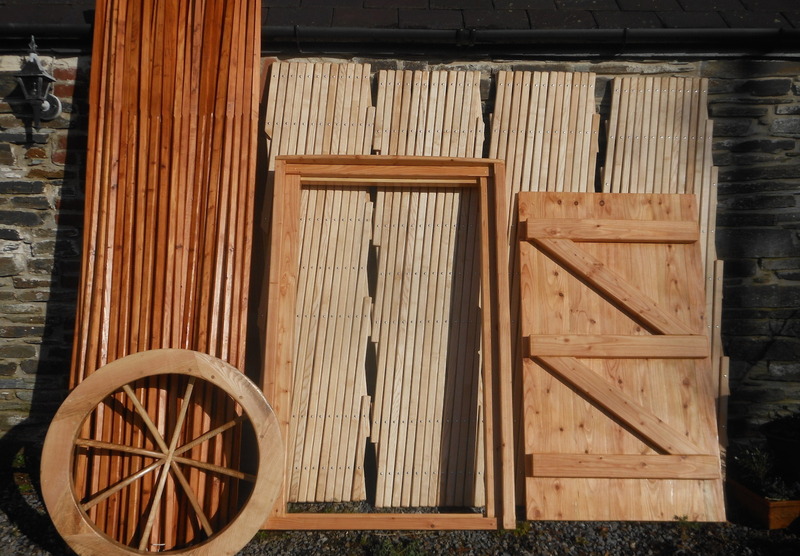 Door seals and threshold strips are used to keep the weather out and the warmth in. 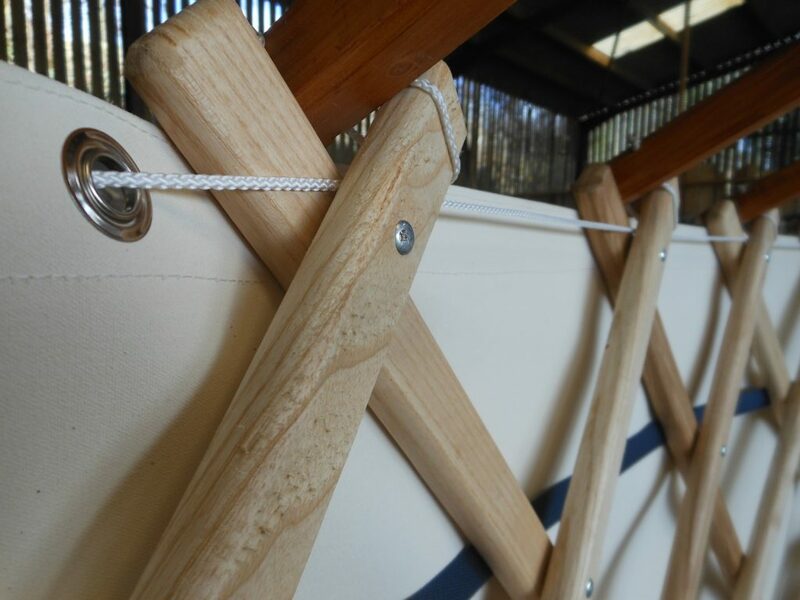 Not only do we make the frames here on the farm, we also sew the covers in our workshop from polycotton canvas which is proofed against water, fire and rot. 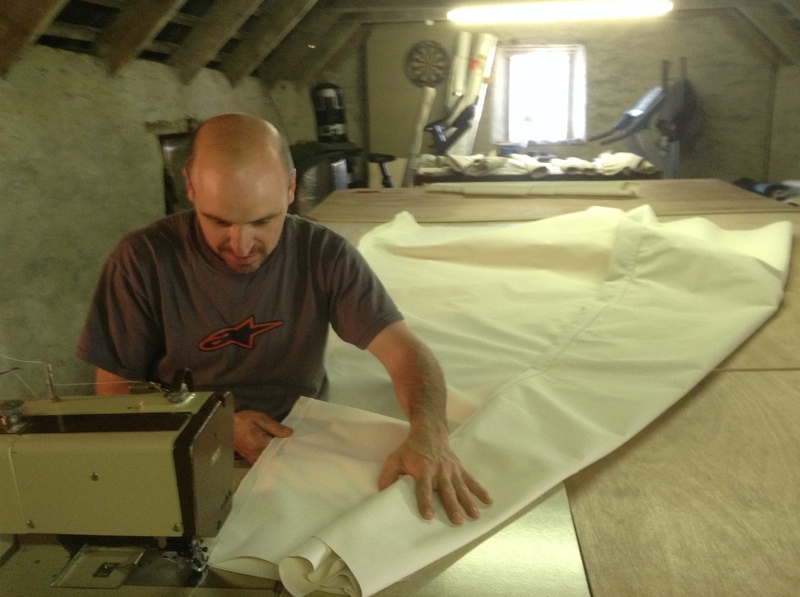 We usually work with naturally coloured fabric, but we can source all kinds of colours to customer requirements. 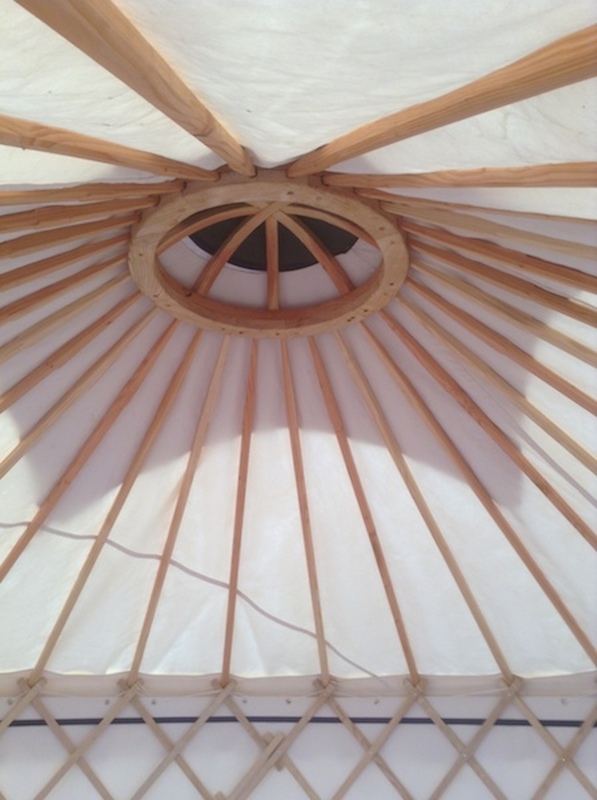 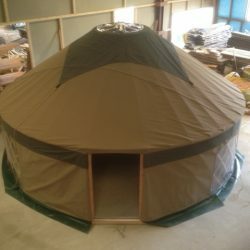 Each yurt we make has it’s own shape and identity, and the process of fitting a cover to a frame takes time and care. 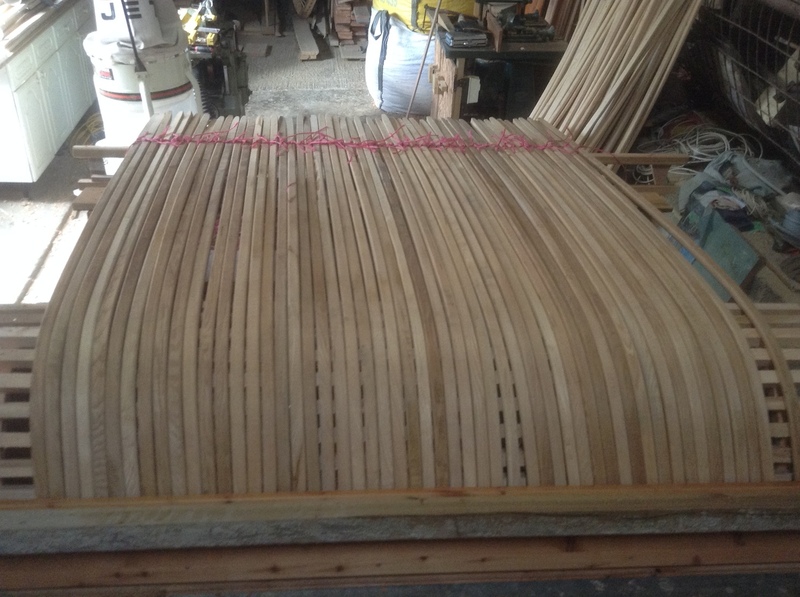 Covers are initially sewn and then shaped onto each frame where they stay to weather in order to allow for shrinkage. 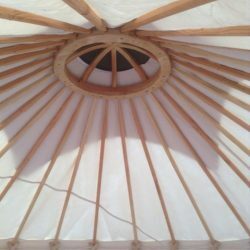 Once the cover has weathered, it goes through the final fitting and sewing. 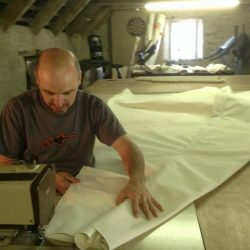 All seams are triple sewn for strength and water tightness. 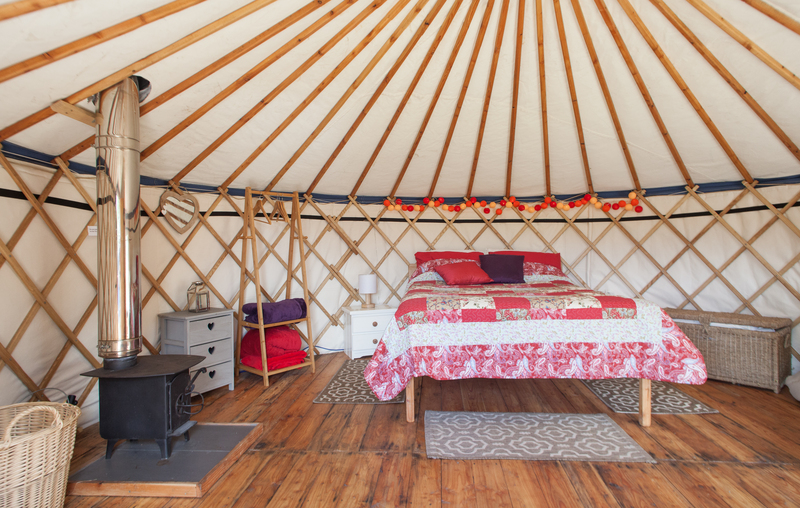 Finally a PVC skirting is fitted to the wall to keep the canvas away from the ground. 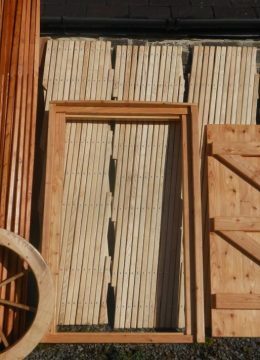 38 bentwood Roof Poles: made from ash, larch or douglas fir and treated with wood preservative treatment and hard wax oil. 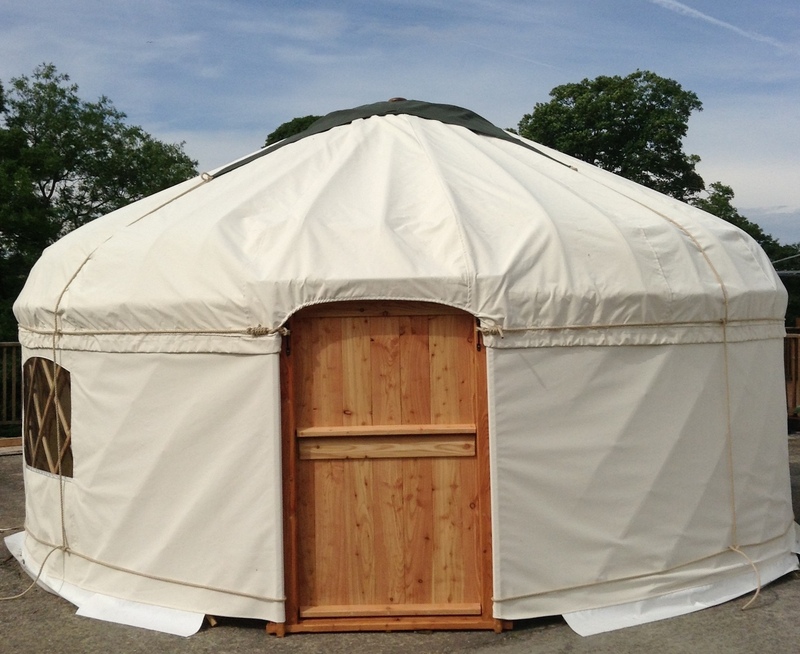 Coloured canvas can be supplied at no extra cost. 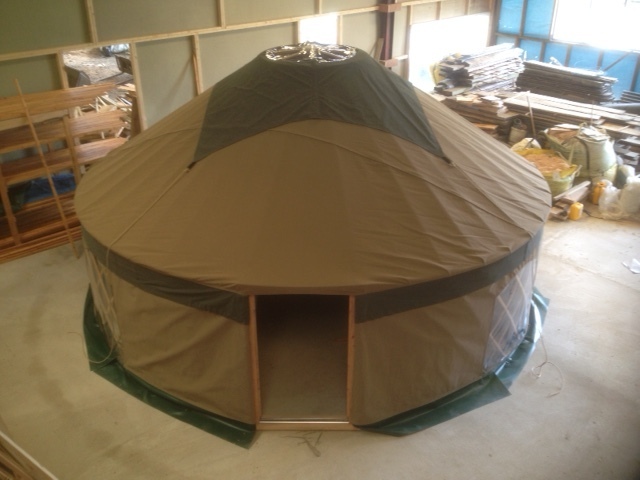 Double doors, stable doors, back doors can be supplied. 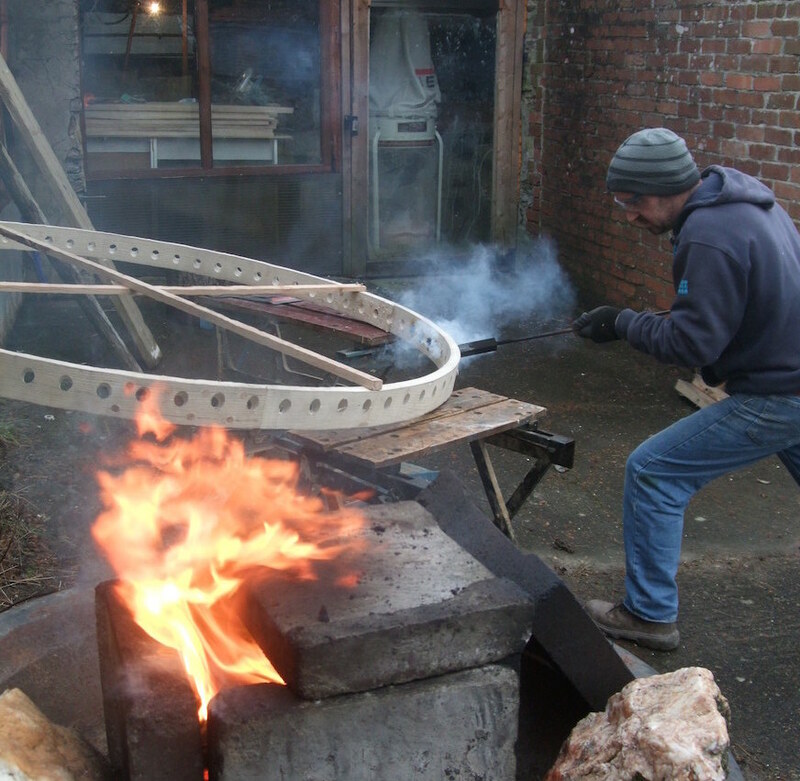 Flues and fire advice can also be provided.